The three musicians have played big festivals and little intimate clubs. Among other places at the Knitting Factory in New York, in Abakan - Sibiria, at Æsken - Århus, Mills College - San Fransisco, Abu Dhabi - The Emirates and even in the Danish sandwich shop in Reykjavik. From big city to jungle - from Ellington to Carl Nielsen. 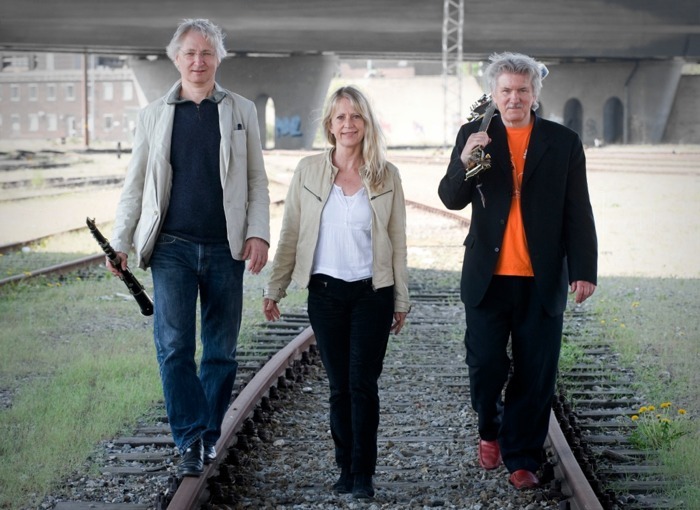 The trio has attended special projects like the Mindship Project on Holmen, Copenhagen, where they participated in the first transatlantic concert in the spring of 1995 - the concert was transmitted via the net, which made it possible to interact with two american musicians in Los Angeles. The concert was broadcast live on a giant screen in the Mindship. That made it possible to play and improvise and exchange musical ideas on the spot with musicians thousands of kilometers away in another part of the world. Usually the trio plays the "normal" way, though. With compositions and impros in their own DØRGE-BECKER-CARLSEN way - in close and intimate interaction. All three of them are also part of the New Jungle Orchestra. "Dørge and Carlsen are congenial musicians - soul brothers that compliments each other brilliantly in this mysterious medley of Balkan, the East, Jamaica and Africa. ....while Becker keeps it all together with her spectacular sounds on the keyboards." "...astonishing and intense play with genres and styles, a ingenuitive and intelligent chamber jazz with beautiful melodic lines and turns with almost the whole great worlds music in the rear-view mirror." Guitar, Tibetan conc & small perc.